Remember the terror flotilla filled with anti-Israel activists that Turkey tried to send to Gaza? As Turkey grows closer and closer to Iran and Syria, they were aware of Israel’s legal blockade, but sent the hostile flotilla anyway. People aboard the Mavi Mamara died after video clearly shows the flotilla activists attacking Israeli forces. Now Turkey wants an apology. Israel says there will be none. 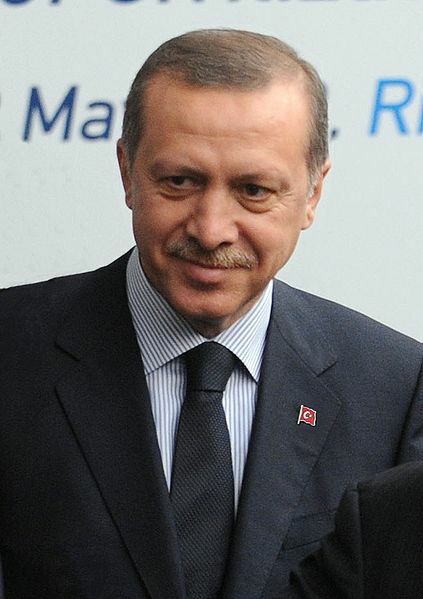 Turkish prime minister, Erdogan, said his country will cut all ties to Israel if the apology isn’t issued. Turkey is relying on another UN report sanctioning Israel, the most UN-sanctioned country in the history of the dictatorial, Muslim-dominated body. Sanctioning Israel is routine in the United Nations – certainly nothing new, and Israel has dug-in. Turkey has improved relations with neighbours such as Iran and Syria in recent years and Erdogan became a popular figure among Muslim countries for championing the Palestinian cause. Israel believes Turkey may vote against harsher sanctioning of Iran in the UN. An interesting side-story is two well-known Muslim journalists, Magdi Khalil and Abdallah al-Hadlaq, taking Israel’s side in the flotilla search, saying they had every right to do so, and the flotilla was intended to be hostile and was armed. Read that story here. Without Support, What Happens to Israel? United Nations Condemns Hamas – Gotcha!